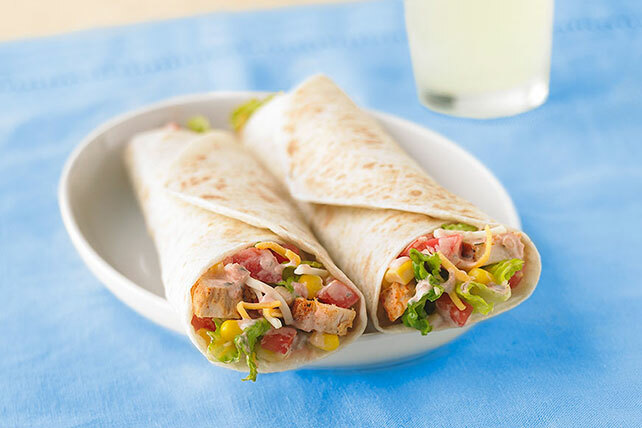 Travel to New Mexico from your kitchen with Santa Fe Chicken Salad Wrap. Thanks to the tortillas, you can enjoy this Santa Fe Chicken Salad Wrap anywhere. Combine first 4 ingredients in large bowl; sprinkle with cheese. Mix dressing and salsa. Add to lettuce mixture; toss to coat. Prepare as directed, substituting 3/4 lb. boneless beef sirloin steak, grilled and cut into strips, for the chicken breast strips.